Moving to a new home can be exciting. However, that excitement can also come with stress. Scheduling, a moving company in Norman, OK and figuring out the logistics of your move can be overwhelming. However, when you turn to the team at Serenity Moving Services, moving becomes a much easier process especially when you use our packers and movers in Norman. When you want a broad range of moving help that can be customized according to your needs, we’re the moving company in Norman, OK, you can count on. 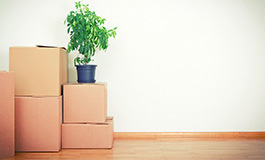 We offer a full range of services, including packing and unpacking, loading and unloading, and moving specialty items. All tasks are performed by trained and experienced professionals who continuously strive to exceed our customers’ expectations. Are you ready to put our movers to work for you? We’re ready to help. Whether you want to make sure your antiques are handled with care or you’re eager to take advantage of our full suite of services, contact us to let us know what you need. We are happy to answer any questions you have. You can also get a free quote for any of our relocation services. At our moving company, we want to help make moves throughout the area as hassle-free as possible. No matter where you live or are moving to within the area, we’re here to provide the personalized moving solutions you need. Our professionals are happy to serve customers throughout Norman, Moore, Oklahoma City, Edmond, Yukon, Mustang, Blanchard, Lexington, Purcell, and greater Oklahoma. For questions, comments, or a quote, please contact us or fill out the Form on the right-side of the page. When requesting a quote, please leave a detailed description in the comments section of services needed and a qualified representive will get back to you shortly. Thank you!